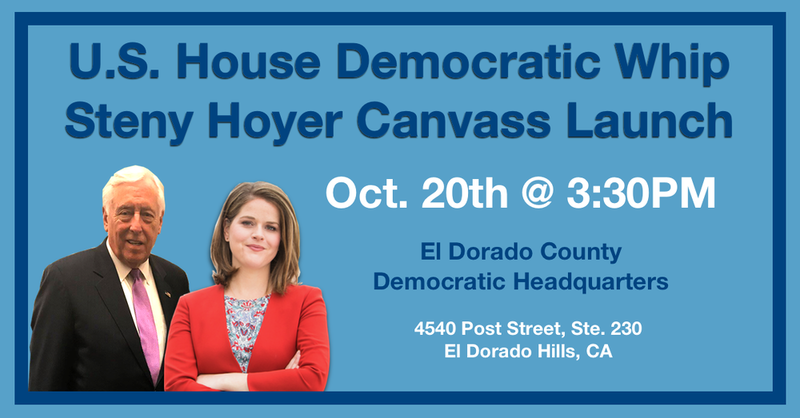 Join El Dorado #Team Morse and U.S. House Democratic whip steny hoyer in talking to your neighbors and telling them why you're supporting Jessica Morse. Bring a phone, friend, and smile. Thank you for signing up to help Team Morse El Dorado. We look forward to seeing you soon. A staff member will be in touch with any updated information if our schedule changes. Feel free to bring a friend with you.